This is a stunning property offering the most discriminating buyer every imaginable luxury and amenity! 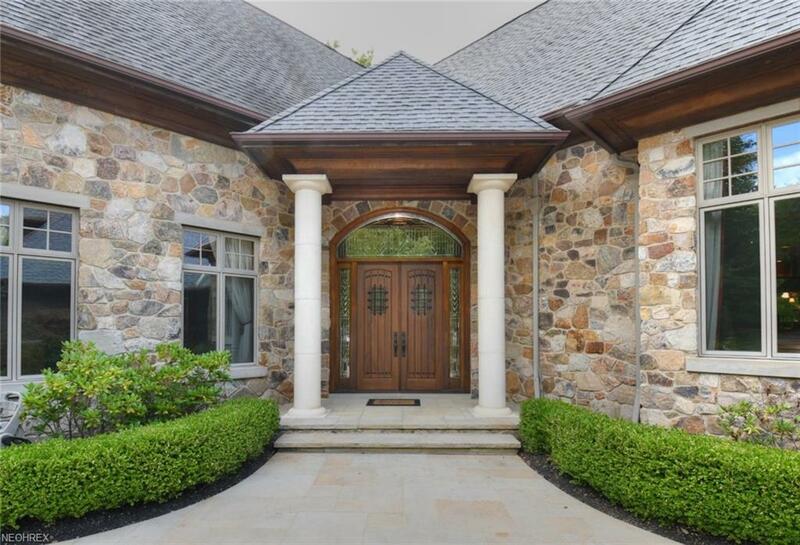 As you drive through the private gated entrance, you will immediately notice the natural beauty of the 7 spectacular acres surrounding the house! 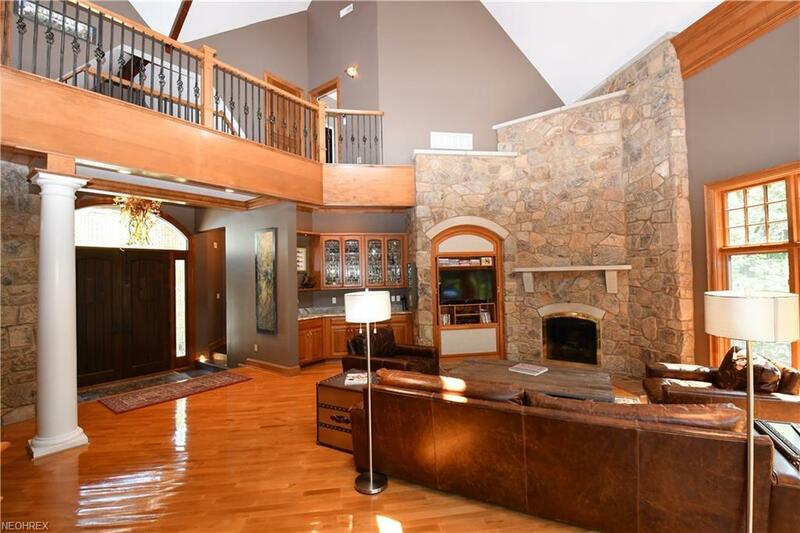 Designed for entertaining, this mountain modern stone and cedar manor home is truly exceptional! 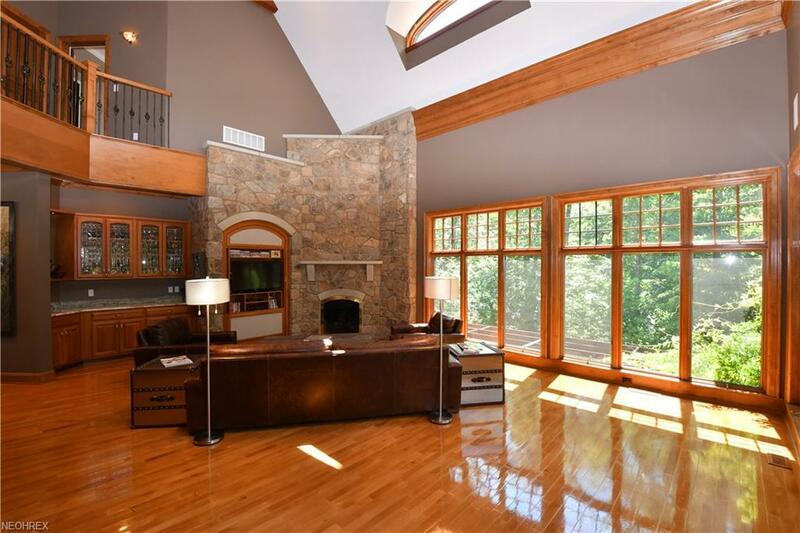 The highlight of the first floor is the dramatic three story Grand Hall/Great Room which features a fabulous stone fireplace, walls of windows, and a wet bar! The gourmet kitchen is a chef's dream featuring all state of the art appliances, huge center island, custom cabinetry, granite counter tops, and a hearth room area with fireplace. The grand formal dining has a fireplace and the glass walled sun room is the perfect spot to relax after an elegant dinner! The luxurious first floor master suite has a sitting room, opulent marble glamour bath, two walk-in dressing room/closets, and a private terrace! The expansive second floor has 2 bedroom suites and an additional suite with a bonus room/family room attached! A walkout lower level has it all including a billiard room, media room, bar area, wine cellar, exercise room, bedroom suite and full bath! From the lower level you walk out onto the magnificent terrace/patio area featuring an outdoor kitchen, spa, and bar area. From there you can walk to the extraordinary in- ground pool with its own private spa area or over to the outdoor sports court! Truly exceptional and one of a kind! !